The memory of Rakhshabandhan from my school days is that it used to be the only day when girls used to run after the boys to tie Rakhi 🙂 Every year I step into a shop to buy a Rakhi for my brother. 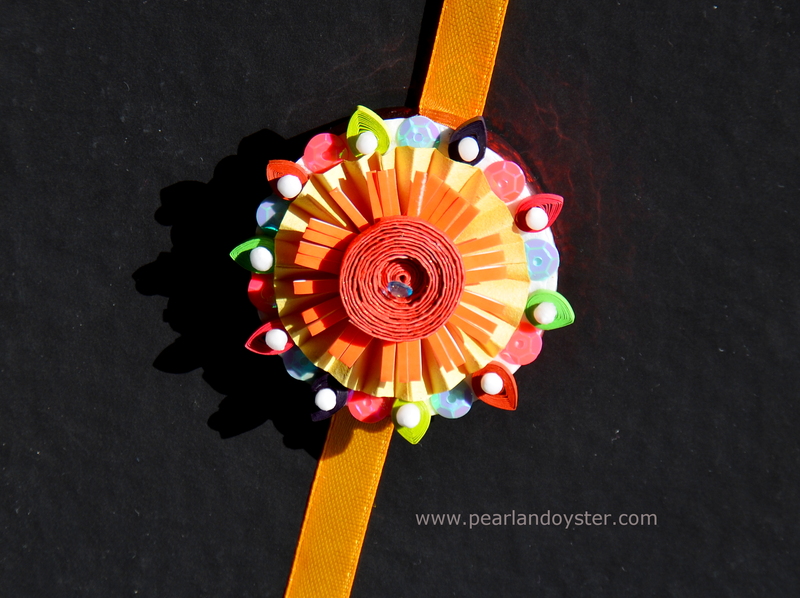 But this year I chose to make my own Rakhi. As expected, Akshara wanted to follow suit and make some Rakhis for her friends. 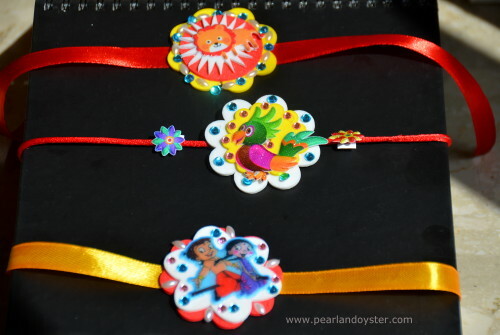 So, we sat down together and started crafting the Rakhis based on some themes (chota bheem, lion, bird..). The raw materials that I used are very common things that one can find in any household. 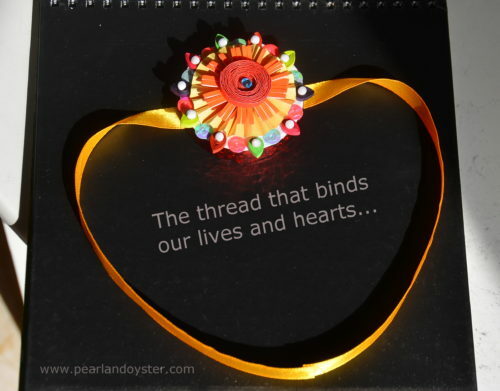 Just let your imagination flow freely to build these beautiful strings of love and affection. A closeup of the Rakhi. The base is a circular piece of thermocol. On top of it are multiple layers of paper quills. The ‘pearls’ have been made with Sago (Sabudhana). Click for a better view. Next story Joy of Giving – Flower Lollies ! Previous story Birthday Party Fun, Food & Ideas !